An effective digital learning strategy can help you cut costs and enable learning across your organisation at the 'speed of business' in a world where agility and innovation drive success. Every employee, manager and executive decision-maker in your organisation will be impacted by the growth of digital learning. So what's your plan? 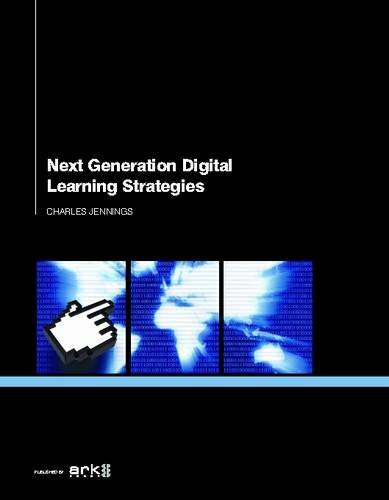 Ark Group's report, Next Generation Digital Learning Strategies provides a clear framework for building a results-focused learning strategy for your organisation with e-learning and new approaches to building workforce capability at its heart. It looks at the impact that new ways of working, learning models and technologies will have on your organisation and addresses key issues to ensure your digital learning strategies are a success. Detailed guidance is provided to assist you in: * Building the business case for digital learning; * Understanding the legal and regulatory environment; * Incorporating informal learning into your digital learning strategy; * Identifying new capabilities for learning management systems (LMS); * Exploiting user generated content (UGC) and crowd sourcing approaches; * Harnessing the potential of mobile 'on-the-go' learning; * Implementing social media tools and systems for social learning; and * Developing electronic performance support systems (ePSS) to boost productivity. Real-life case studies offer invaluable behind-the-scenes access to the successful digital learning strategies, processes, content, and solutions of leading organisations. These include: Marks & Spencer, The Law Society of England and Wales, Covidien Vascular Therapies, Belgacom, Dixons Group, ASB Bank, China Telecom, Texas Industries to name a few.